You need a good auto body shop to get the job done well, since wrapping the car right can be quite tricky. Come to us for such work and get a unique and distinctive looking car for yourself. Car wrapping is done to change the color and look of your car. If you have had a car for many years and want it to look different, car wrapping is a great way to achieve that. You can either get a plain new color, or get patterns and designs digitally printed and wrapped. 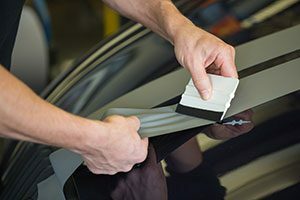 There are a wide range of colors, patterns, and textures that you can choose from, or even create your own unique look for your car. © Armen’s Auto Service. All Rights Reserved.